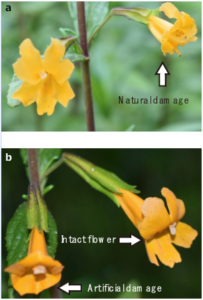 Photographs showing (a) a flower with natural damage by florivorous insects and (b) an example of paired flowers, with one intact and one experimentally damaged. Photo credit: P. Garvey and M. Dhami. Florivory, or damage to flowers by herbivores, can make flowers less attractive to pollinators, potentially resulting in reduced plant fitness. 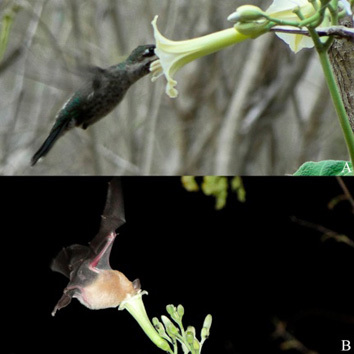 However, few studies have combined observations with experiments to assess the causal link between florivory and pollination. 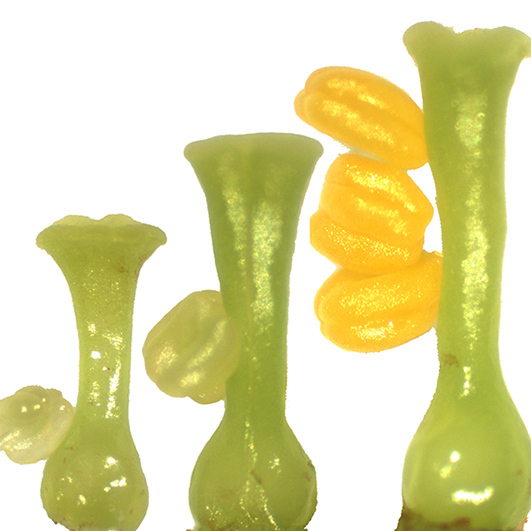 In a recent study published in AoB PLANTS, Tsuji et al. 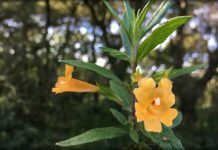 conducted field observations and experiments to study the effect of floral herbivory on pollination in the hummingbird-pollinated sticky monkeyflower. They used two indicators of pollinator visitation: stigma closure and the presence of microorganisms in floral nectar. The field observations revealed that stigma closure was less frequent in damaged flowers than in intact flowers. In the experiments, however, floral damage did not decrease stigma closure or microbial detection. 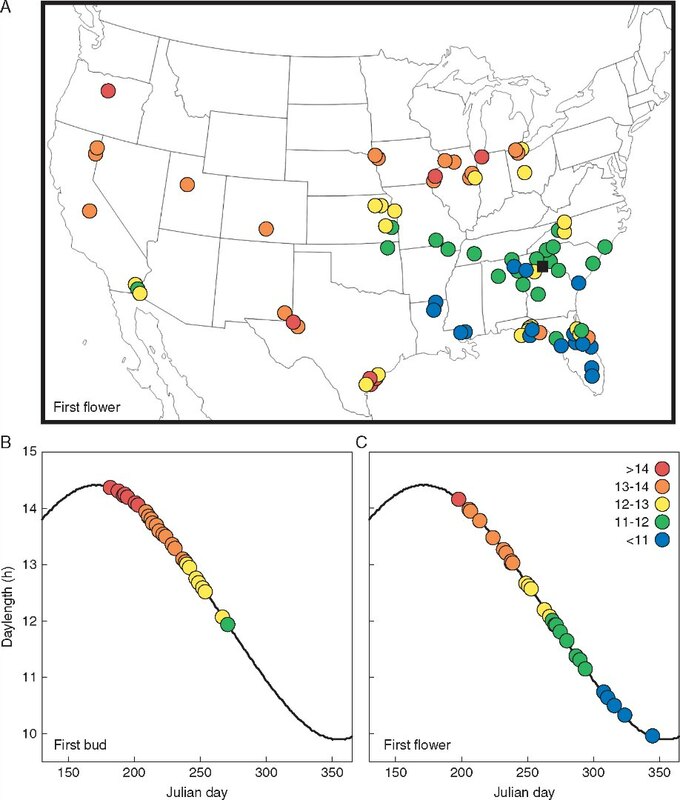 These results tell a cautionary tale: a negative association between florivory and pollinator visitation can be observed without florivory affecting pollinator visitation.